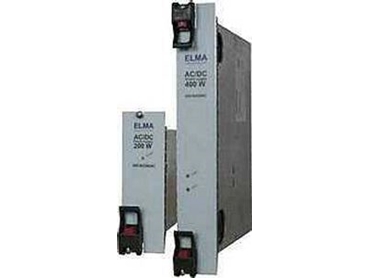 ELMA, represented by Dedicated Systems Australia , has released ac/dc and dc/dc power supplies for CompactPCI enclosures and sub-racks. They have a wide ac input, with 24V and 48V dc inputs. The 3U version has a 200W output power and the 6U version has a 400W output power. They have active power factor correction and operate over a temperature range of -10°C to 55°C without derating. Hot-swap and current sharing features allow N+1 redundant connection. They have no minimum load requirement and meet worldwide safety standards including UL, CSA, TÜV and CE marking.